Mauritius. Seychelles. Bora Bora. These locations instantly conjure up images of sun-drenched beaches, blue skies and seaside holidays, complete with a palm tree or two in the background. If this sounds like heaven to you, then prepare yourself for today’s homify 360° discovery, which is a house that looks like it’s permanently on holiday, complete with backyard palm trees! 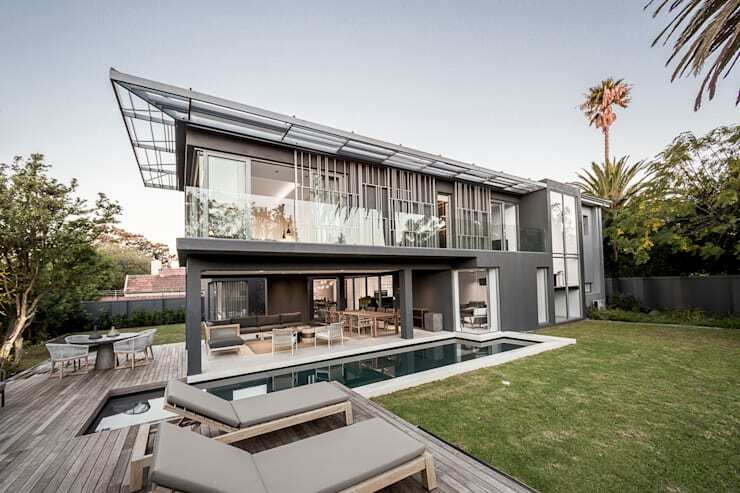 Gsquared Architects deserve the credit for this dreamy structure, which is a 6-bedroom family home designed around courtyards that offer complete visibility to the backyard pool and entertainment area. The price of this dream home? R7 million. 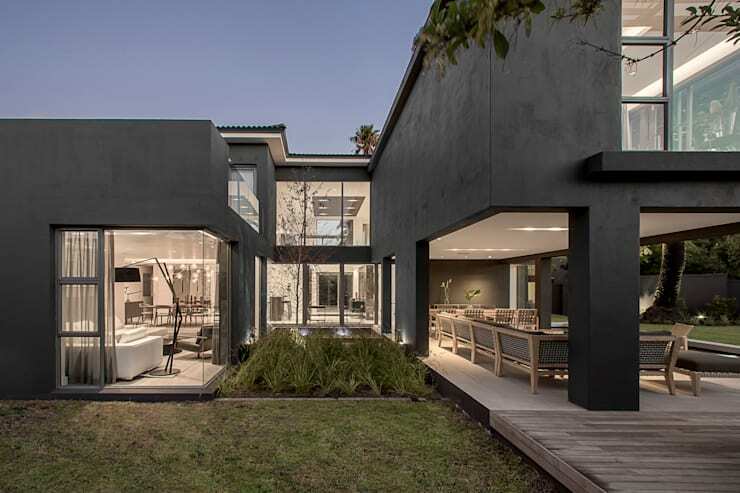 With a delicious modern design, the house opens up most fantastically here in the back yard, beckoning us to explore it on the inside; however, we much rather prefer to stay outdoors in this picture-perfect yard, which offers up a pool, spacious lawn, perfectly trimmed garden, and ample space to wine and dine (and lounge and relax and socialise and entertain… ) to our heart’s content. Right, now we know that this house doesn’t offer up the picturesque beaches we mentioned earlier, but this wooden deck (with its slightly rustic look) does make us think of island holidays, especially since the fabulous pool and fresh-green foliage are right there to complete this dreamy image. 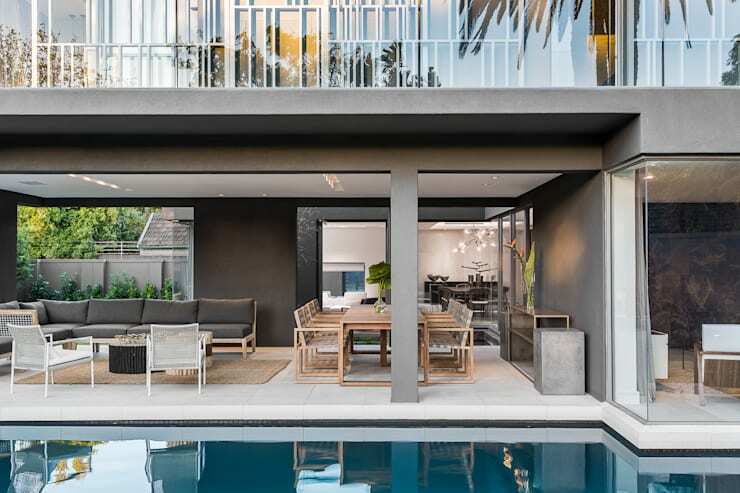 As we can see, the house presents ample space and potential to host one magical get-together with the friends, whether it’s a super formal sit-down dinner, or a more relaxed pool party. But now what if an unexpected rainfall should occur (this is Cape Town, after all)? Ah, that’s the beauty of this covered terrace! 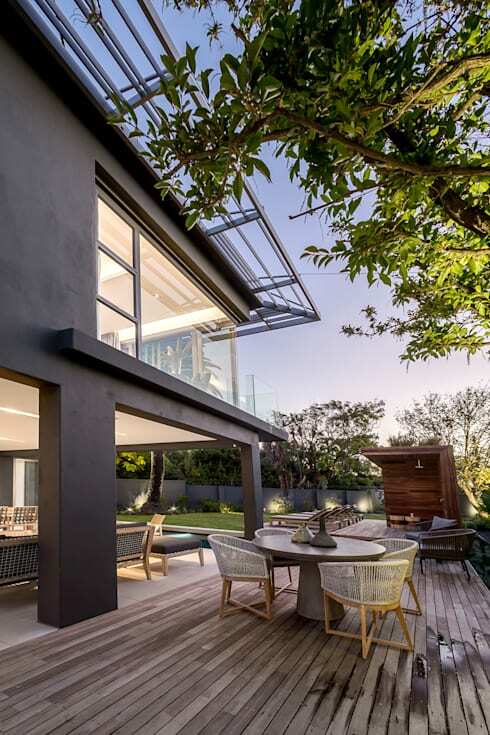 As soon as dusk approaches, this dreamy structure comes to life via its artificial lighting fixtures, especially on the inside, as soft, creamy glows of lighting spills forth onto the exterior wooden deck, giving us glimpses of the high style on the inside. From one dreamy discovery to another, we present this Delightful dwelling in the Drakensberg.